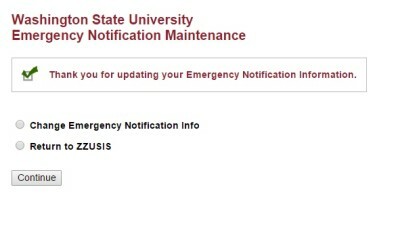 Find the “Emergency Information” box on the top right side of the page. This will take you to this page, where you can update or add your contact information. When you click “update now”, you can enter/update your contact information. 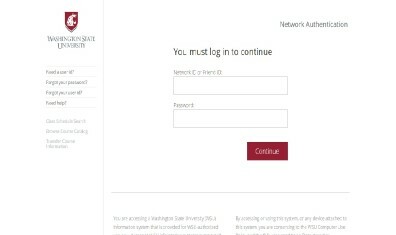 NOTE TO PARENTS: Our current system does not support parent or third party registration to receive notifications. 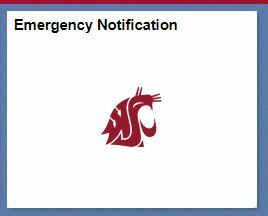 However, we do allow each individual to list up to 9 different mechanisms for emergency notification. 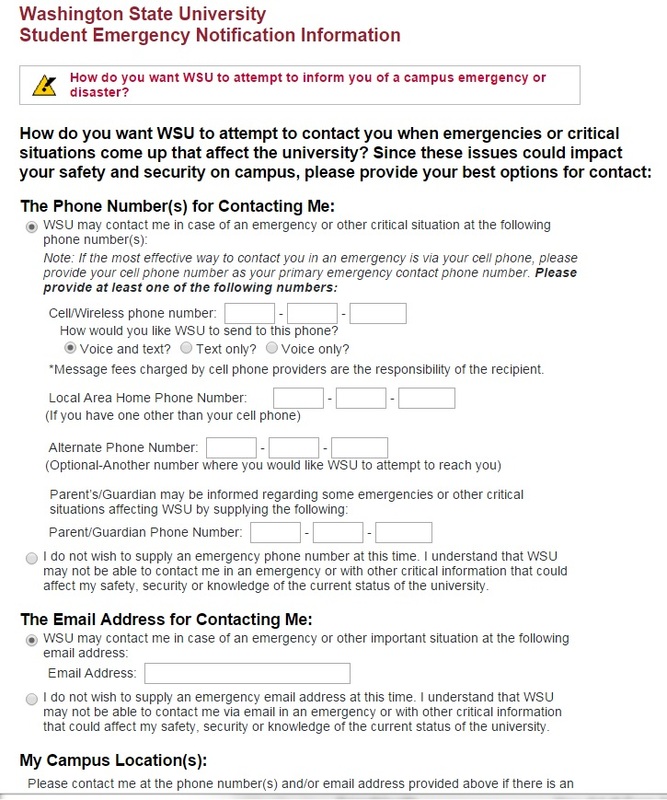 Have your student list your contact information as an alternate to his, and that will get you emergency notifications as part of your student’s contact file. 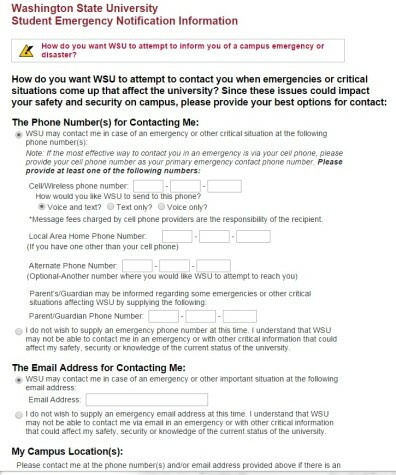 Once you have completed entering your contact information, please click SUBMIT. Your information has now been recorded and you are signed up to receive emergency notifications!